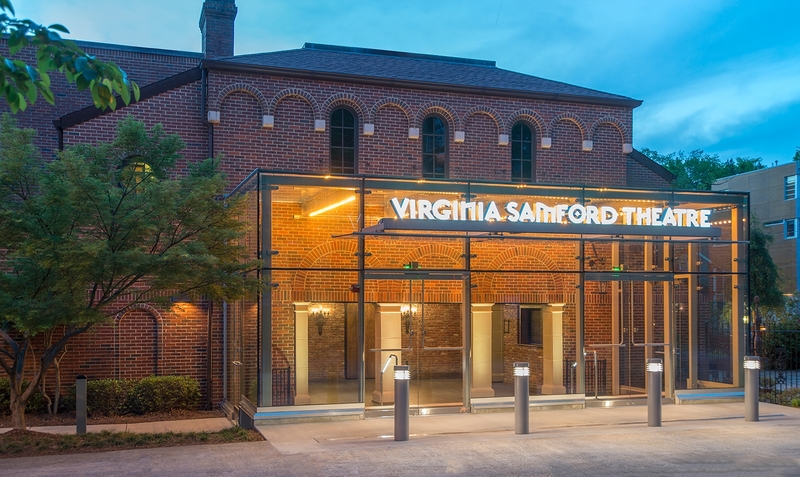 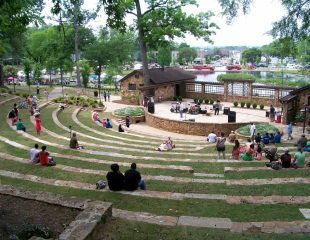 Working closely with the Metropolitan Arts Council and community stakeholders beginning in 2002, the KPS team turned the historic UAB Town & Gown Theater into the new Virginia Samford Theatre with several renovation and addition projects. 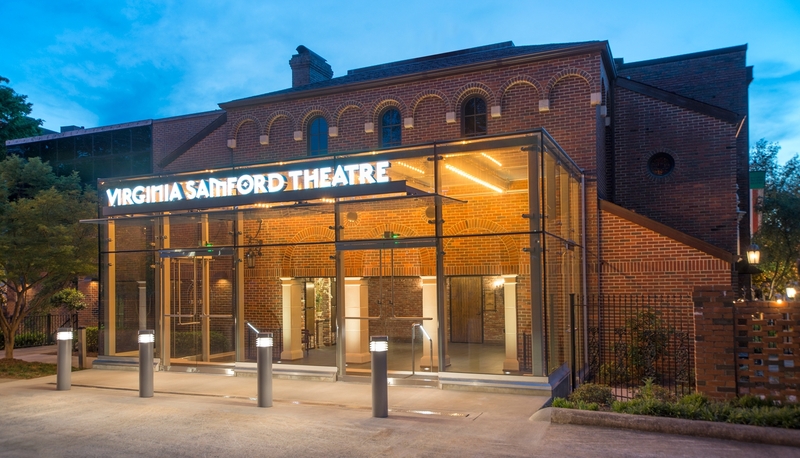 The facility includes main and upper lobbies, and theater seating with a proscenium stage. 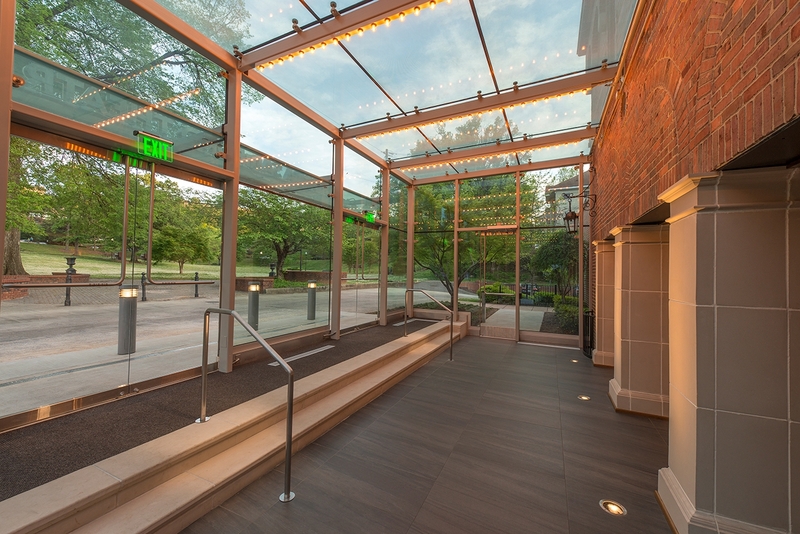 Balcony seating and egress stairs were added to the building, which was also brought up to code and upgraded. 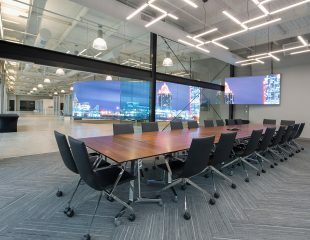 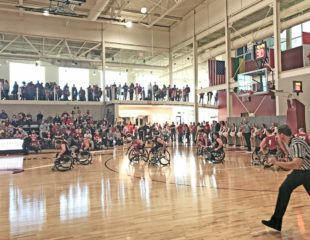 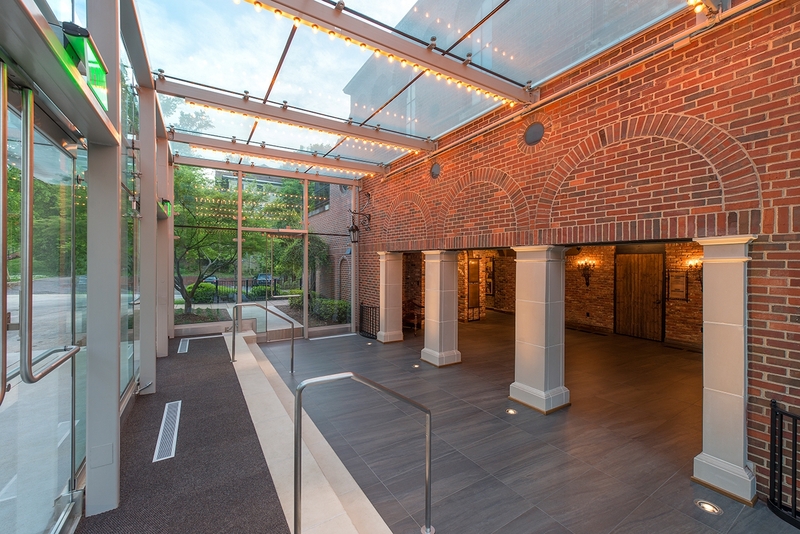 KPS was recently charged with increasing the lobby and pre-function space at the theater entry, improving its connection with the adjacent Caldwell Park without compromising its period integrity. 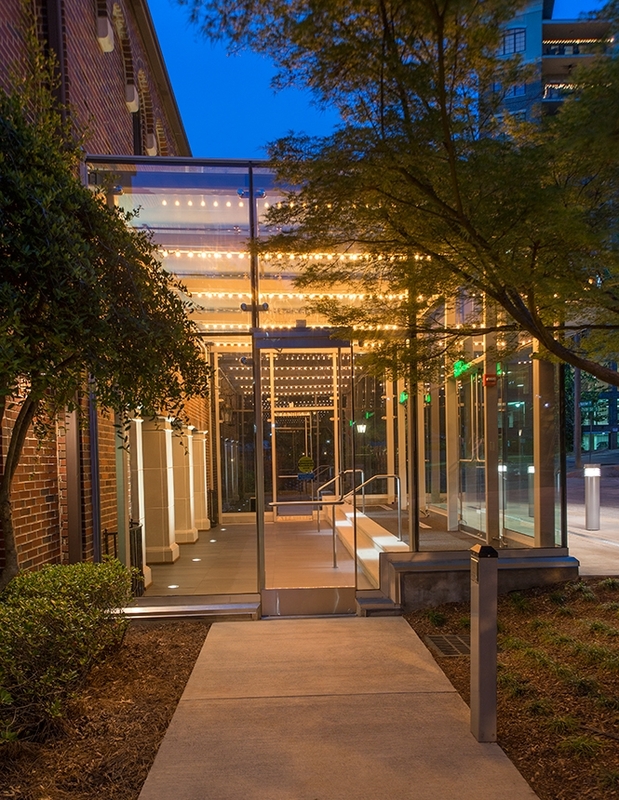 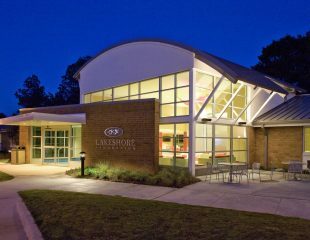 The resulting contemporary glass atrium and entry enclosure at the front of the theater facing the park simultaneously complements the original structure with an incandescent modern amenity and leaves it intact, while almost doubling the existing lobby space. 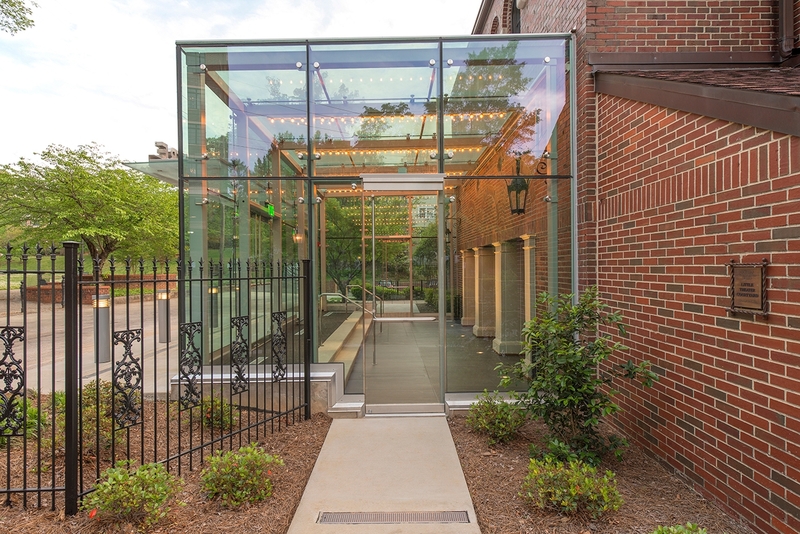 Improving the connection between the theater and Caldwell Park, the new glazed enclosure is the first addition to the lobby area since the theater was built in 1927.